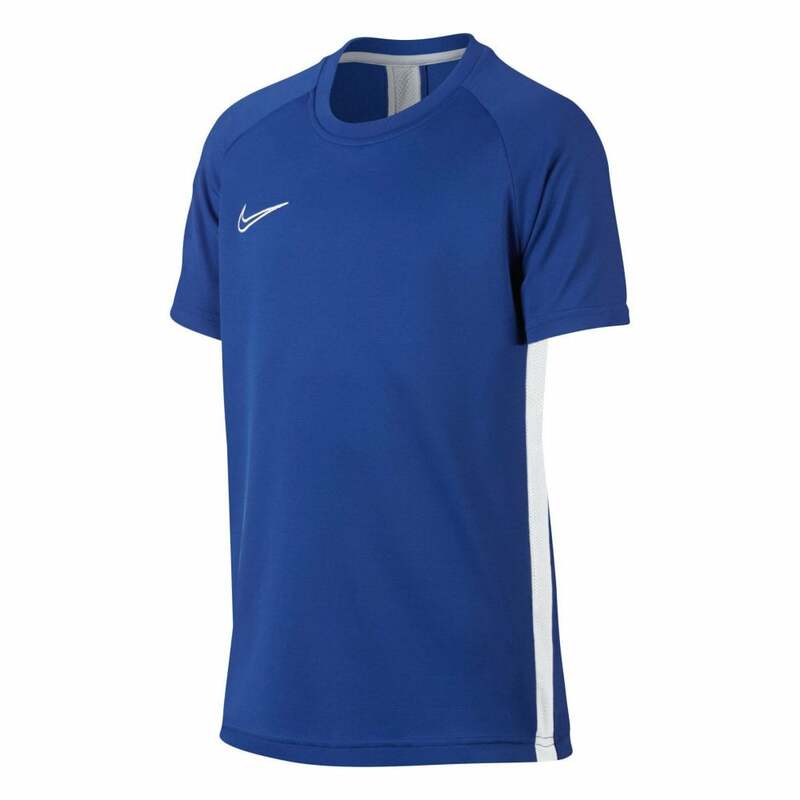 This Nike Academy Dri-Fit top is 100% recycled polyester and royal blue in colour. It has short sleeves with a crew neck. The sides feature white mesh stripes on the side and the back is also mesh for a fresh, breathable feeling during the game. Nike Swoosh branding appears embroidered on the chest area in white.